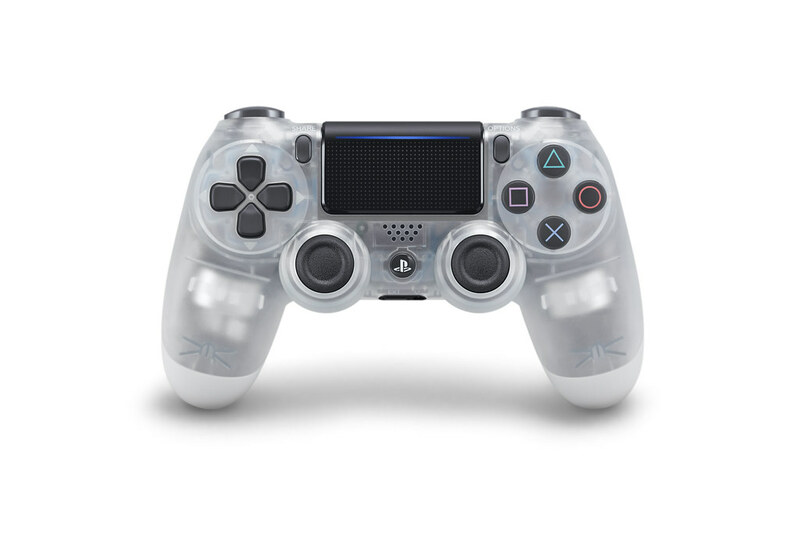 We’re bringing back the fan-favorite translucent controller series with the introduction of these new limited edition DualShock 4 wireless controllers: Crystal, Blue Crystal and Red Crystal. 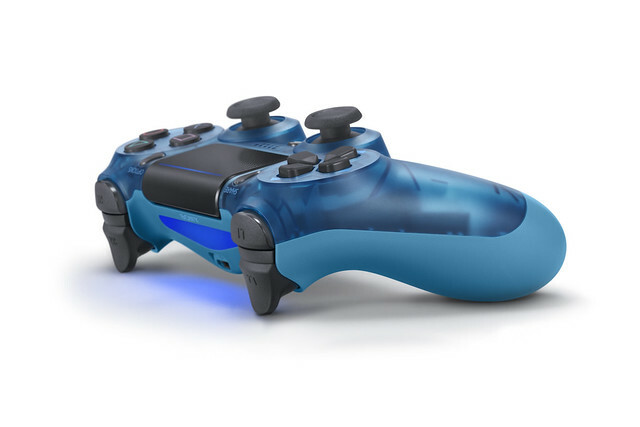 These are new takes on the classic style, featuring a translucent top panel that shows the inner-workings of the DualShock 4. The three colors will be available later this month as retailer exclusives across the U.S. and Canada. You can pick up Crystal at GameStop (EB Games in Canada), Blue Crystal at Walmart and Red Crystal at Best Buy. Click here for pricing and pre-order details, or check your local retailers for availability. Check out the stylish new controllers below, and tell us which one is your favorite in the comments! 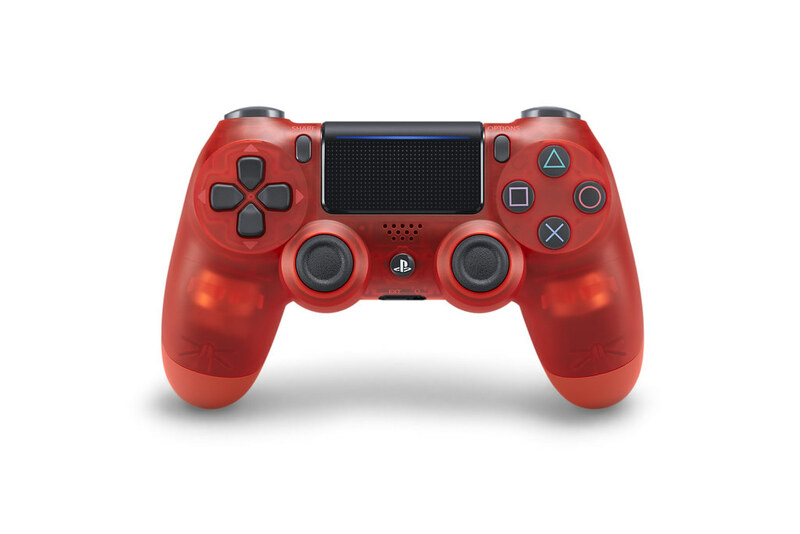 This looks cool, but I’d rather you guys lower the price of the newer model Dual Shock 4 a bit. Also, how about like a Crystal Black, Crystal Smoke, and Crystal Green colors? Better yet, why not make a “Pro” version of the controller? Lower the price to what is affordable – 59 CAD is a much better and affordable price. If Amazon can sell them for 49 CAD every now and then I would assume the price should not need to be 79 CAD. Also creating a PRO version is needed badly – longer USB cable so that the delay is not so noticeable. Anyways these see through controllers – how sturdy are they really? Plastic thinner too? The prices still being so high makes me laugh. I only got a magma red when EB Games had a great trade in deal ($50 iirc) since paying $20 to switch to a new color and get a new edition controller was worth it for me. You guys drink Arizona teas?! come to my store, I sell them for 1.39 each. (people still buy when they are like..well 50-70cents at a grocery store) Why so expensive? because I dont got space to stock up 100 24can cases of them and can only do 20 at a time, killing my discounted price for them. Same stuff is with companies like AMZN, BB, GS. They all don’t get the product for the same price. How much they can stock in their warehouse determines it. I’ve always been extremely fond of the Dark Blue Transparent controller from back in the PS2 days. While this light blue isn’t as nice it’s still nice to see some variety in controllers again. Wonder why they refuse to make the bottom transparent though? Only real difference to the bottom compared to the rest of the controllers plastic is the texture. My thoughts exactly; I wish the entire controller was transparent. At least it’s the same color scheme. I hated that the first editions all had black bottoms. And even the new editions have different shades of the color instead of the exact same. Which is weird, but way better than black. It’s why I typically always stick with black controllers, why bother when it’s not even actually that color? But I do have a magma red (new edition) since it looks pretty slick overall. If I could’ve gotten the red transparent at the time I would’ve. These are so cool! I may have to buy a third DualShock 4! I find it super odd that the RED controller is for Best Buy, when GameStop has red in their logo. That would be my first guess if I had known they were all exclusives to something. The Blue with Walmart, okay. It could’ve worked for Best Buy too (despite the yellow logo, they use tons of blue). Clear could’ve been anything. Odd choice to me. Wonder if the retailers picked the colors based on what their sales were of the solid versions of the same colors. But then, what if everyone sold the most of, say, red? Hmm, guess we’ll never know that type of thing. Why is Red at Best Buy and Blue at Gamestop? Did someone mess up color matching? Please tell your bosses that I would like one in the same lime green color as that Donkey Kong 64 version of the N64. Thanks! I was signed in as another user. I logged out and here I am as Kid_Fleetfoot. Just for anyone’s info who reads this in SONY HQ. As to controllers I have a baseball controller for PS3. I would like one for PS4 also, the same kind. I would like to see Playstation create colors targeted for its female gamers. There may not be as many out there but we are out there gaming on boring black or basic red and blue controllers. Yea its just a color but i would love to game with a turquoise or teal controller. I’d be happy to help design or give ideas if given the opportunity. Girls can’t like black, red or blue? I’d be down for purple though. Purple would be awesome too! Colors are not gender exact. There are a lot of female gamers. I would buy several new controllers if they were in purple. I’ll settle for pink even. I remember on Playstation HOME Virtual World there was a Breast Cancer promotion that featured a pink ribbon, a Drew Brees football virtual jersey and other items. Of course girls can like black or red or even blue. I like black but its also the standard color. Just want to see more variety. Purple would rock! Yes i know colors aren’t gender exact. Some guys like pink and thats alright but It would just be nice to have more color options to choose from. The primary colors red and blue can get boring. I just want to see a bigger variety to choose from being a female but this goes for males too. My favorite of the new colors? Midnight Blue! Why that is that color not coming out here in NA? I’ll probably end up trying to import it I guess. These are pretty snazzy looking, but could Sony please release another Green controller? There hasn’t been one since the PS2! You don’t need new controllers, Greg. Oooooooh Greggy I’m a smoooooooth boy!!! 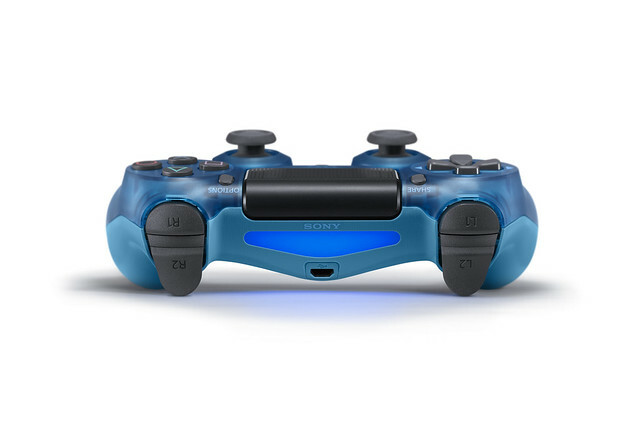 PLEASE JUST MAKE A PRO CONTROLLER! These are so awesome and brought back memories, I was prepped to go buy one with Destiny. Then I see the price. $65? Geez, a good memory of the original ones were they were like 20 bucks, 30 bucks was a lot for a controller. Now it’s like a dream….I think I’m happy with my Gold one. What’s up with the retailer exclusives? I hate Wal Mart but need the blue one!! Nice! Gonna pre order the white One! Still here waiting for a pink DS4. Does it have a better battery life though? UK STORES ANYTIME SOON. ?, even though only just bought a white one, but these are very nice.. Anyone else having trouble preordering the blue crystal controller? I keep getting a page saying the product doesn’t exist or something to that extent. Finally got it. If you’re having this problem on mobile, click the preorder button after switching the page to desktop mode. Price needs to be lowered $80 is more than a bit overpriced. Also DS3 are sttll selling for way too much. Any progress on improving battery life? It actually has straight forward consistent names. No more of those too weird names like Lava Red or like Sea Blue. Ugh… Selling something exclusive to specific retailers is awful. I hate this kind of nonsense. 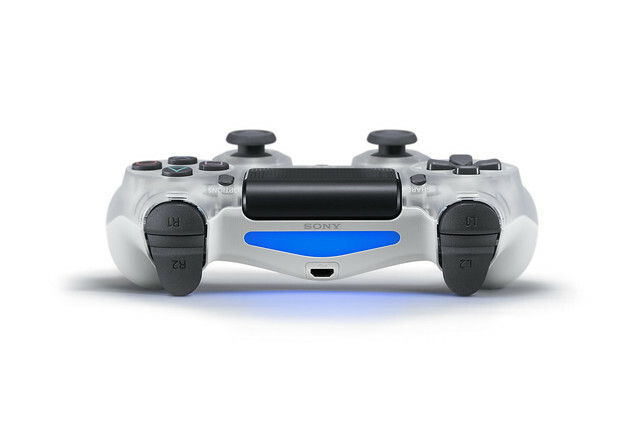 Are these controllers the DualShock V2 (CUH-ZCT2). ?? I’ve been waiting for so long for it! PS3 had a pink controller too! Yes! I love my pink ps3 controller. I agree! do not have a green crystal in mind? We need a Crystal with full LED’s!! That way it could be many colors while playing games. Now that would sell big I would buy 2. Thanks for nothing. Refuse to do business with game stop. Best Buy and I are on iffy terms as is after their last Pre-order debacle with my Majora’s Mask 3DS. Well Walmart…. do I need to say anything else. Let me know when Amazon joins in on the fun. Crystal Purple and Crystal Green would be sellers. I already have my blue and red controllers. 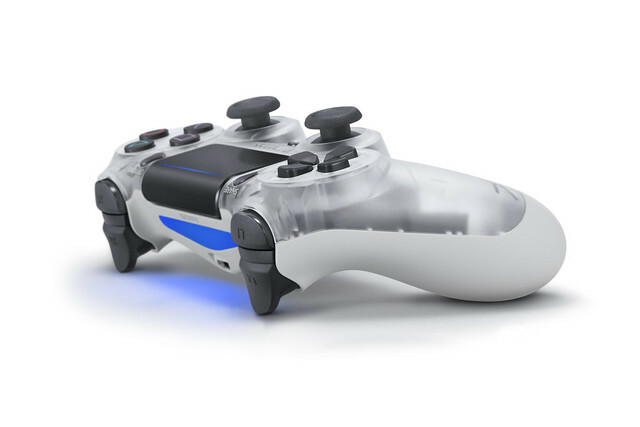 Having translucent controllers, we realize we pay a lot for not much inside … A really bad idea for the business ! Awe yes! I had an original crystal clear controller for the PSX when they came out. It was my favorite controller ever. I may have to pick one up for the PS4! Wow! Thanks for bringing not only the Crystal DualShock 4 over here but also in more colors! I have always loved the translucent look for electronics. I remember my favorite GameCube controller was the half-indigo, half-clear one. I’m looking forward to getting these! I’m only a bit disappointed each color is exclusive to a specific retailer. This makes it very difficult for some of us. I wonder if they’re exclusive for a limited time, like the Gold DualShock 4 from last year. Wonder if the analog sticks are still bad for $60 bucks? Personally have gone through 7 controllers in 2-3 years because the left stick starts drifting or not responding at all…. wonder how the Raiju sticks hold up?